At Pixie Paper, we will be doing exactly that! In our beautiful studio, we will be putting on the old-time tunes, enjoying tea and scones and handmaking our own journal. 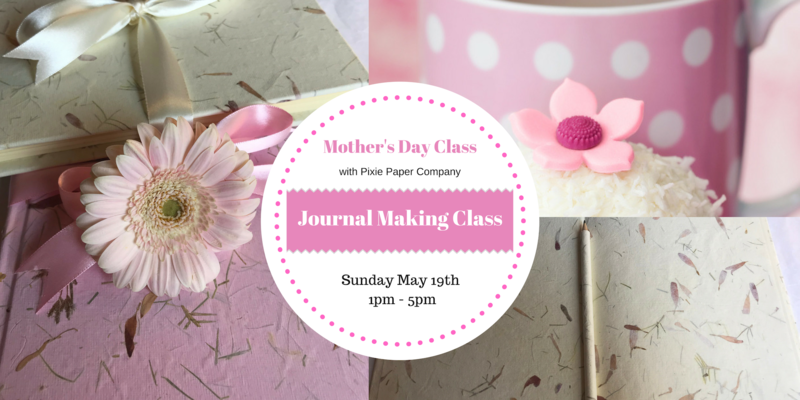 Your host Cherie, will teach you how to make your own journal from start to finish, using case binding techniques (hand sewn) and choosing gorgeous papers and ribbons from our huge selection. You will take home a finished A5, hardcover 200-page journal, which you can then put on display near your bedside and use to capture dreams and moments of inspiration before drifting off to sleep.